Things are rarely perfect. 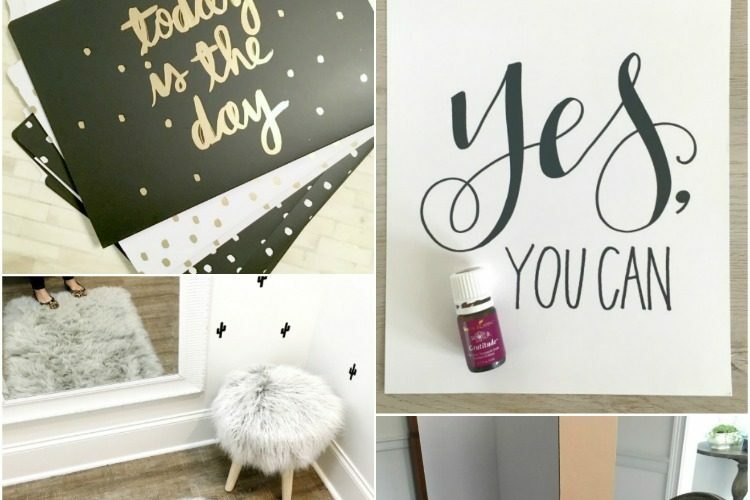 But if you’re looking for that blank slate and ready to start fresh, here’s 8 proven tips for getting your January off and running, no matter which week you choose to start. As you take down your decorations, donate or toss anything that’s broken or that you no longer love. 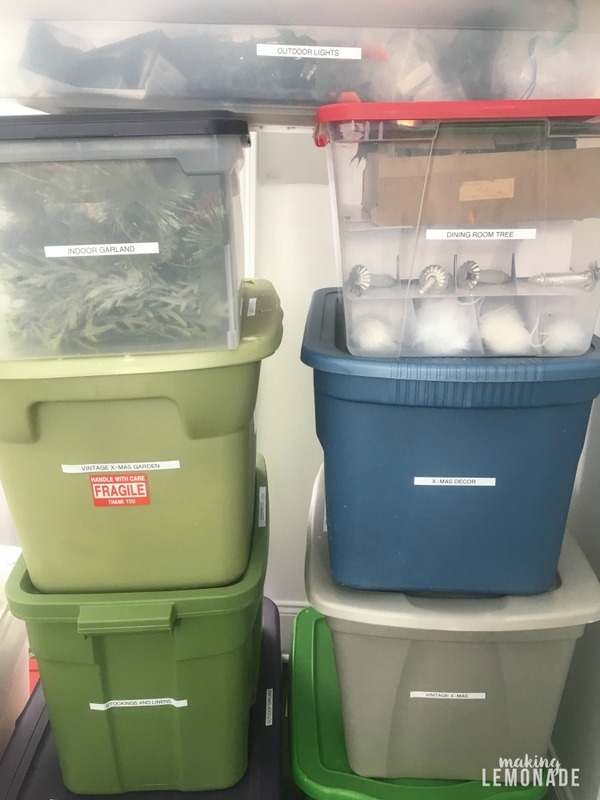 Check your storage bins for decorations you don’t put out anymore– there’s usually a reason, might as well donate them so someone else can use them instead of taking of space in your home. Clean the bins (SO. MUCH. GLITTER.) and sort by category and label with a label maker. 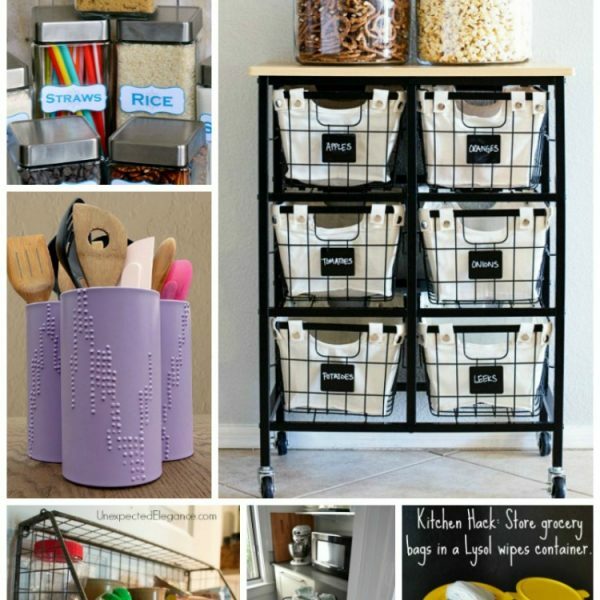 Decorating next year will be more joyful, easier, and organized! 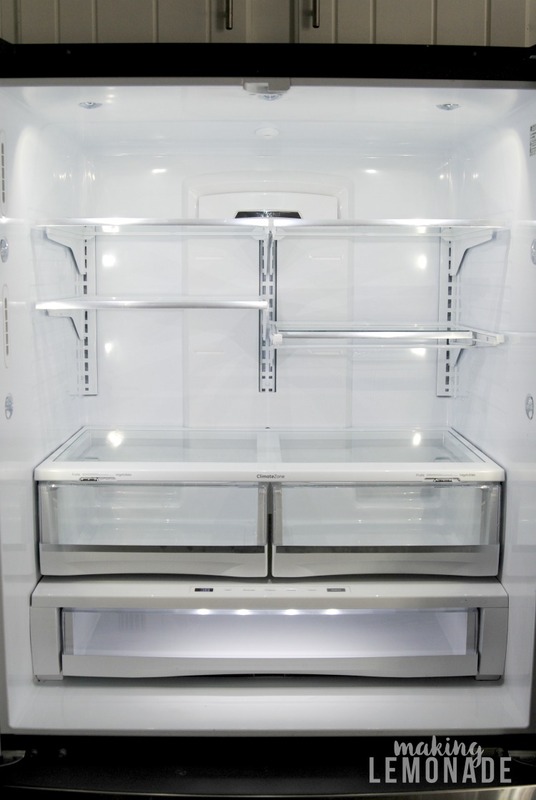 Give your fridge and pantry a deep and thorough cleaning. Toss the sweet and sugary temptations that gathered over the holidays (those 3 week old gingerbread men probably don’t taste great anyways.) I like to use a non-toxic cleaning spray (like Young Living Thieves cleaner) to freshen up my fridge and then add in a fresh box of baking soda to absorb odors. Toss old condiments, dressings, and that wedge of Brie you never finished. Then fill it up with the good stuff– veggies for snacking, hummus for dipping, and prepped meals to quickly make healthy food your family will love. Each year, I sit down and do some serious goal setting. 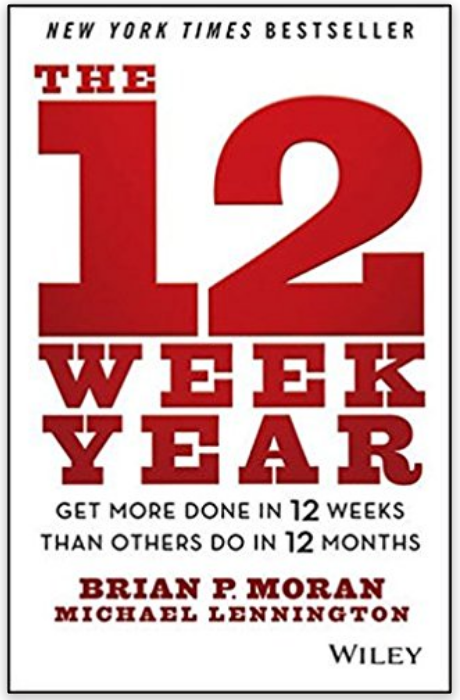 The best investment I made last year was a little book called The 12 Week Year. The basic premise is instead of setting up yearly goals (which feel drawn-out and often are lost by the second week of the year) set your measurable goals in 12 week increments and give strict deadlines in which to make them happen. This method was the turning point in my business last year, and propelled me to reach my income goals despite such a wild schedule! The book is a quick read, and if you have goals you want to accomplish, use this method to reach them. I have a simple 12 Week Year goal setting sheet I created; if there’s enough interest in the comments I’ll share it in a future post. Whether you work at home or in an office, or have kids who need a homework spot, setting up a system is imperative to being productive. We spent the week cleaning out school work from the first half of the year, and adding blank paper to our paper trays. Ben sharpened all the pencils, and we added eraser caps to reduce frustration when working. 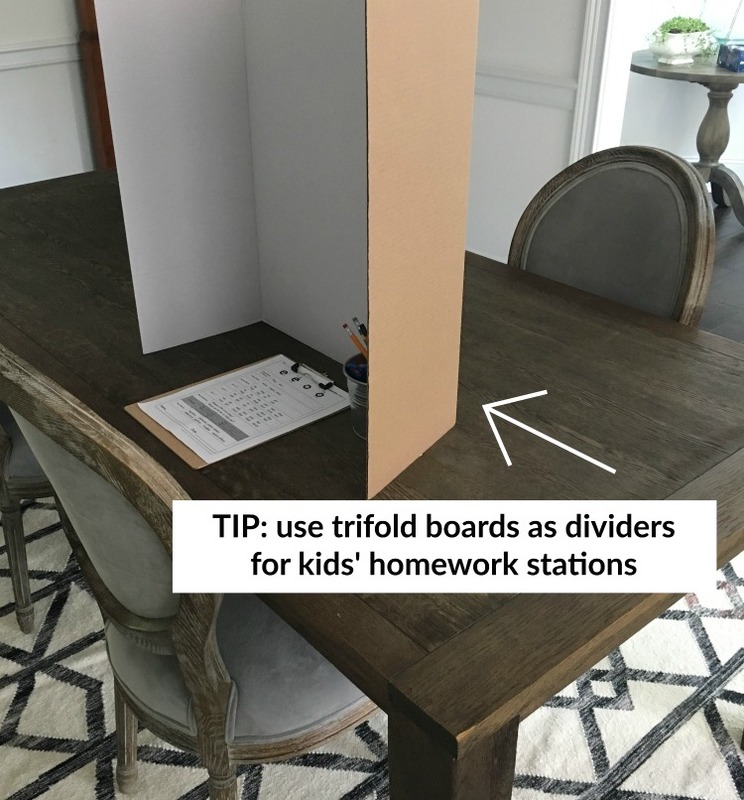 We cleared off the dining room table and set up tri-fold boards to help them focus when doing homework. I cleared my to-do folder and paid all my bills. I also set up notebooks for both businesses (complete with tabs) and cleaned off my desk. 2018, I think I’m ready for you! 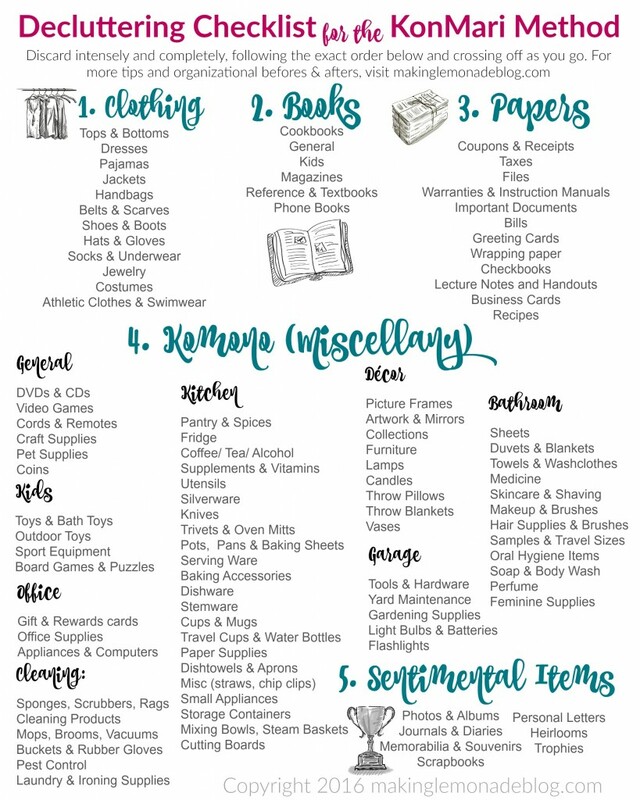 Go through your coupons and toss expired ones. As for receipts, obviously keep any that you may need in the future but those random ones can get ditched. If you have a business, add your 2017 receipts to your tax folder. Now’s the time to set up your 2018 tax folder to collect this year’s receipts and papers (and one for 2017 if you haven’t yet– it’s okay, I won’t judge.) Those forms and papers start coming in soon. Be ready for them! Was ‘get more exercise’ among your 2018 goals? The ONLY surefire way I’ve found to stick to that goal is if make it measurable– such as ‘workout 4 times a week’— and then actually carve out time to do so and physically write it on the calendar. I treat it like an appointment– can’t miss unless it’s a true emergency– and it works! Heck, perhaps charge yourself a cancellation fee (donate it to charity) if you miss your workout as an incentive if needed. That’s truly win-win! Declutter your entire car– glove box, console, kids stuff, trunk, EVERYTHING– and give it a deep cleaning. Whether you do it yourself or hire someone to detail it, chances are when you climb back in your sparkling clean vehicle it’ll feel (almost) good as new. If January has you ready to tackle an entire house full of clutter, print out this free printable KonMari Method decluttering worksheet and get ready to declutter deeply and thoroughly this year, in the order recommended. Be sure to click over to read the full post and download the worksheet. 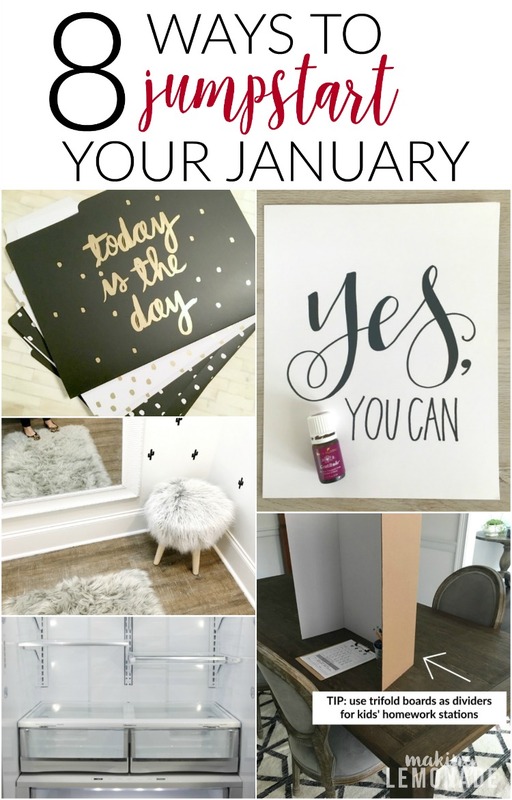 There you have it- 8 ACTIONABLE steps to jumpstart your year and propel you to success. Now I’m off to schedule my workouts. December was delicious so goodness knows I need it! Love the 12 week Idea. The 12 Week Year seriously pushed me to get my goals accomplished, it’s a great book! Seems like there’s some interest in the goal sheets so I’ll start working on getting them nice enough to share. Hi…your 12 week goal setting sheet sounds very useful. Hope you publish it soon. Love your blog. Thank you! 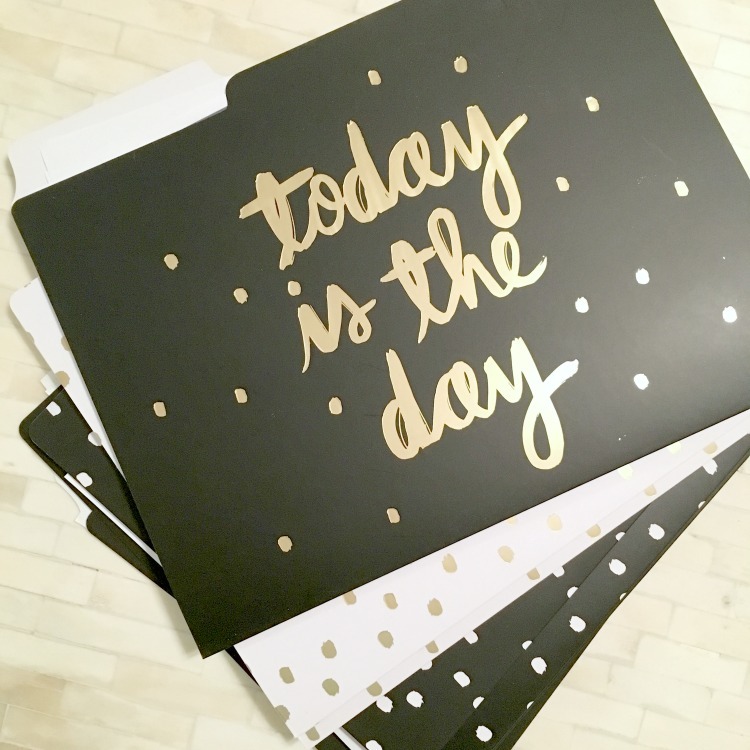 We have a free planner coming out this week, and since there’s interest I’ll fix up and share the 12 week goal sheets… those are seriously life-changing! I am very interested in the 12 week goal setting sheets. 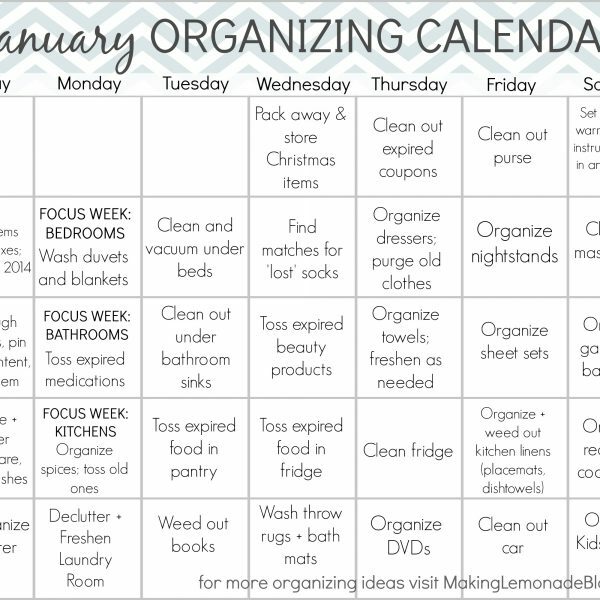 I already use your weekly and daily sheets for the minor jobs. Love your work. I love your ideas! January is pretty stressful for me because the end of the previous year exhausted me with numerous tasks that needed to be ended and January put a lot on my plate, too. Your ideas make me want to own these and really inspired me. And I love the 12 Week Year idea!